I have been waiting for this shoe…. 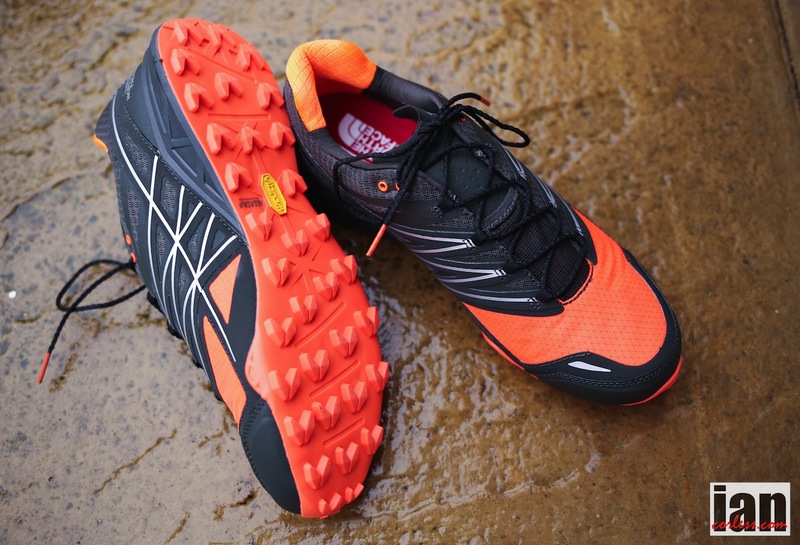 The ULTRA MT has a new Vibram® Megagrip outsole with unrivalled traction to keep you close to the ground. It also has enhanced upper support as well as a breathable Ultra Airmesh. The innovation continues underfoot, where precise stability and protection ensures a better performance with every step. Well, fresh from the box, the ‘Power Orange’ colour hits you and you will immediately make a decision if this is a positive colour or negative colour. Me? I don’t mind. Once you have been for a couple of runs, any brightness subsides and the shoes start to look like real trail shoes. 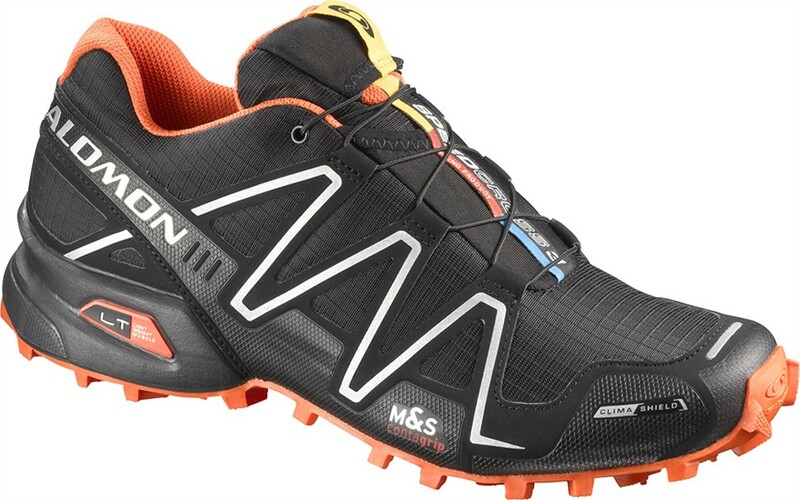 I guess the most starling observation, and it doesn’t take a rocket scientist to notice this, but the ULTRA MT sure does look like a Salomon Speedcross. I am not going to go into the pros and cons of this similarity but I am pretty sure all you good folks out in ultra land would notice this, so it would be silly for me not to acknowledge this. The ULTRA MT is bullet proof. The upper is thick and durable. The toe box is well protected. The heel box is plush and the tongue is padded. The tongue is secured within the shoe to stop movement and provide a secure foothold. 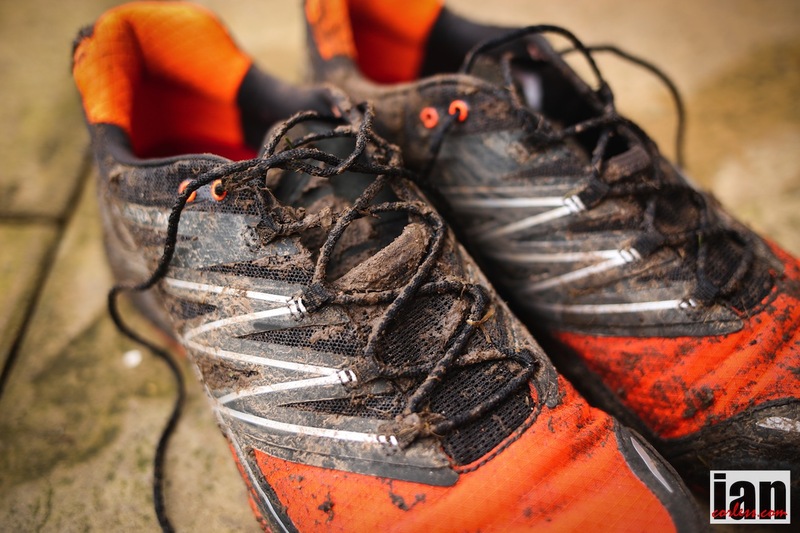 This shoe will take a battering and survive many a run in harsh conditions. 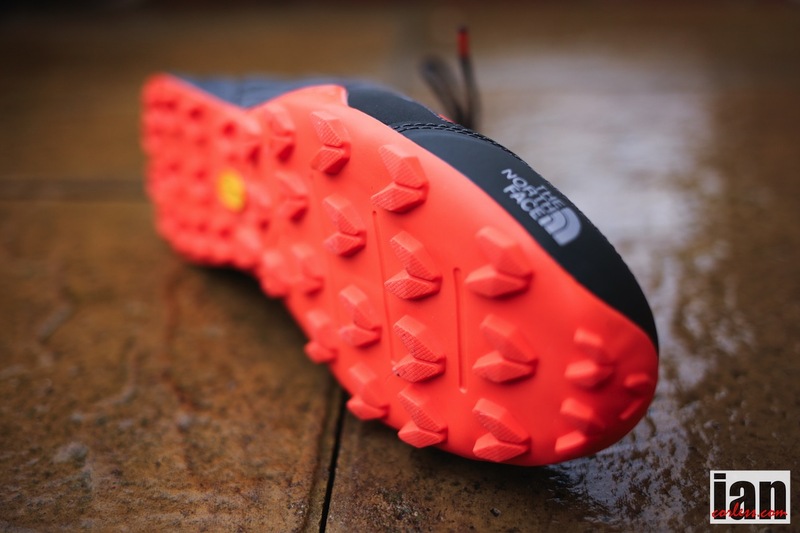 The sole of the ULTRA MT is aggressive and is Vibram® Megagrip. It’s actually very similar to the previous Ultra Guide shoe but has a much harder feel and it feels hard when running on non-soft ground. 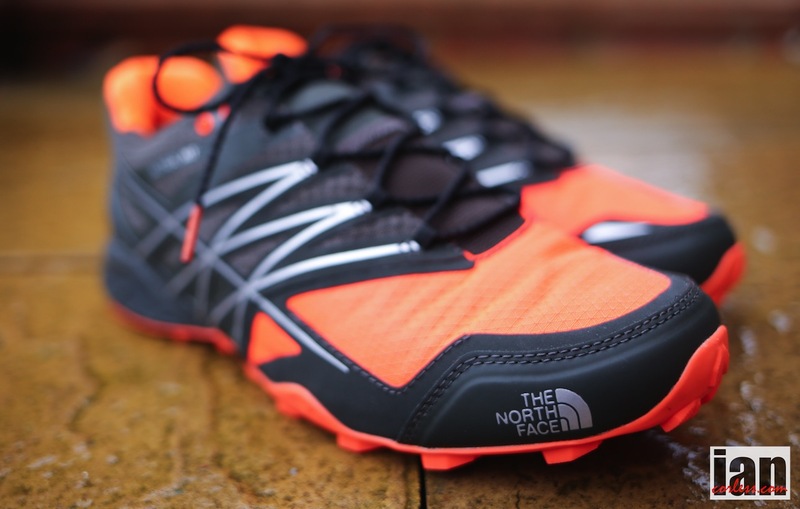 As mentioned, I am a real fan of the TNF Ultra Guide and considering that TNF no longer make that shoe, I was anticipating the ULTRA MT to not only be a replacement but an improvement! Putting the ULTRA MT on for the first time was an eye opener. It felt much more solid, less flexible and less cushioned than the Ultra Guide. Although 8mm drop, the shoe feels lower to the ground, this may well be because of less cushioning (I don’t have fore and rear foot cushioning measurements at the moment). The ULTRA MT also feels less flexible. The Vibram sole is most certainly harder (more durable?) than the previous Ultra Guide sole and in my opinion has less feel. I do wonder why they make the sole in different colours? From experience I have nearly always found a coloured sole under performs when compared to the same sole in black. Of course I am speculating here! Contact with the ground felt a little harsh initially. The shoe sizes on the large side. I usually take a UK9.5 and I have a UK9 in the ULTRA MT. 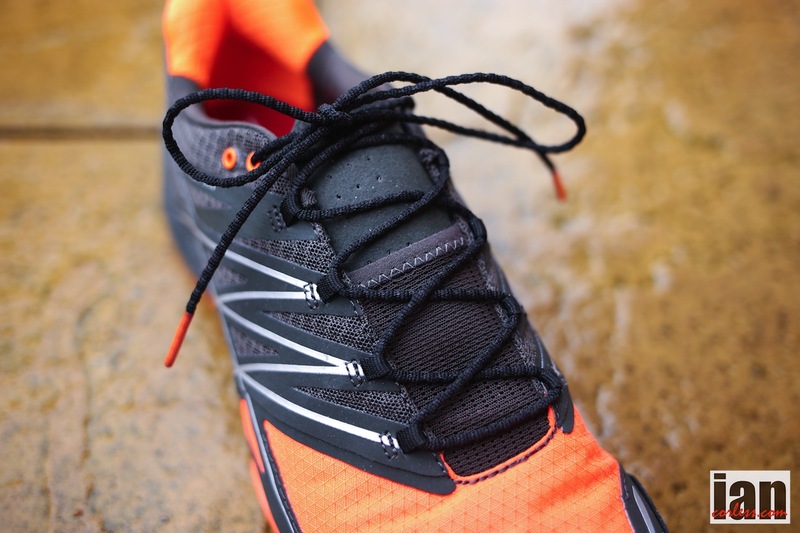 The toe box is wide and roomy (maybe why the shoe feels larger) and for those of you that have been looking for a wide roomy trail shoe with an 8mm drop, you are going to be very pleased with the ULTRA MT. The tongue is padded and I am pleased to say that it is fitted within the shoe to provide a secure foothold and to stop the tongue moving around. A mesh panel is added to reduce debris entering the shoe. The laces are thin (too thin for me) and gnarly but they do pull the shoe tight and stay fastened. 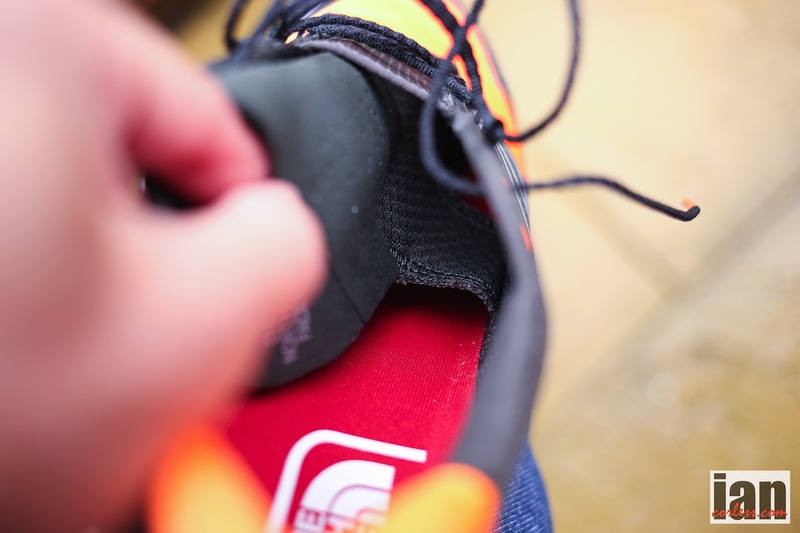 For a non waterproof shoe, the upper really does restrict what enters the inside. I have been in some really muddy and wet ground and my socks remained dry. The heel box is snug holds the foot well and providing you have the laces tied appropriately you don’t get any movement or slipping. 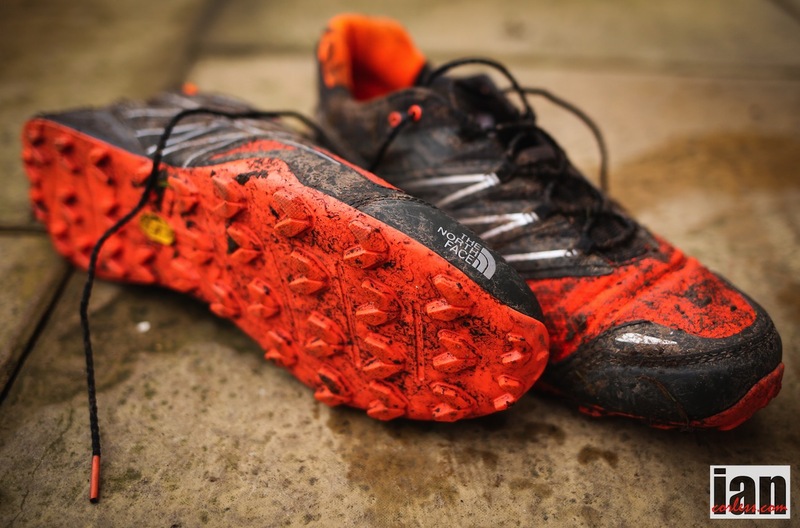 It may come as no surprise that the ULTRA MT is designed for muddy trail. If used in this scenario I am pretty sure you are going to be happy with the results. 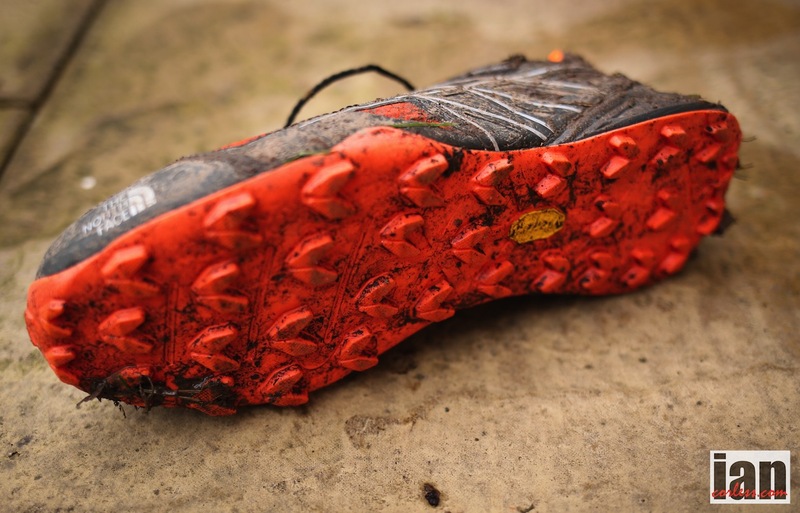 The Vibram sole provides grip on a multitude of surfaces but does feel a little hard when the terrain becomes harder. The shoe really is built to endure tough conditions. The upper, the toe box and the sole all look as though they will take a repeated beating and just keep asking for more… but I do question if this comes at a compromise for feel and feedback? The upper also has body mapping layer system on the upper to enhance support on the medial side, protecting the toe area. It’s early days in the test and I will update in 3-4 weeks how the shoe has progressed with repeated use. 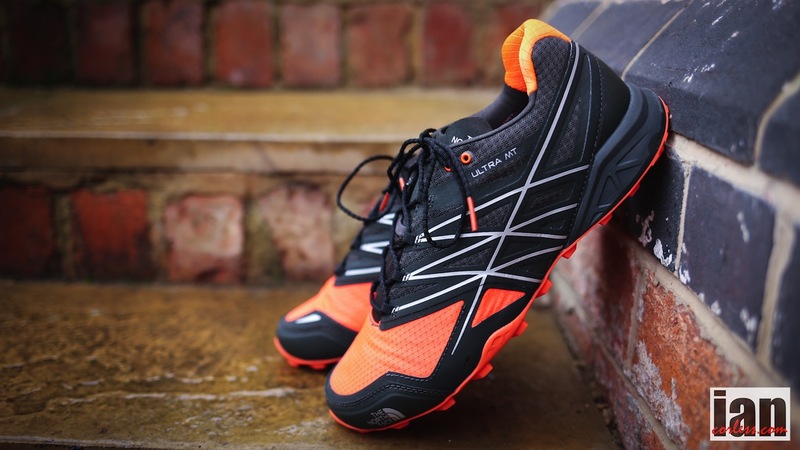 The ULTRA MT will be available to purchase from March 2015. Weight is 295g for a UK8 and the estimated RRP is £120. 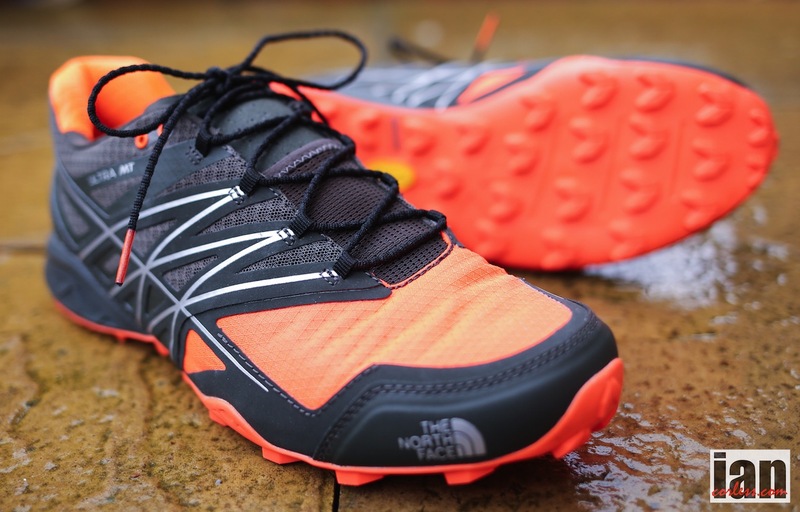 This entry was posted in Equipment Reviews and tagged new 2015 shoe review for The North Face, The North Face Ultra MT shoe review, TNF, TNF Ultra Guide, TNF Ultra Mt, trail running shoe, Ultra, ultra running trail shoe by talkultra. Bookmark the permalink. I just ran a couple of rounds in the shoe. It is one of the most narrow shoes, I have ever tried with a restricted feeling. 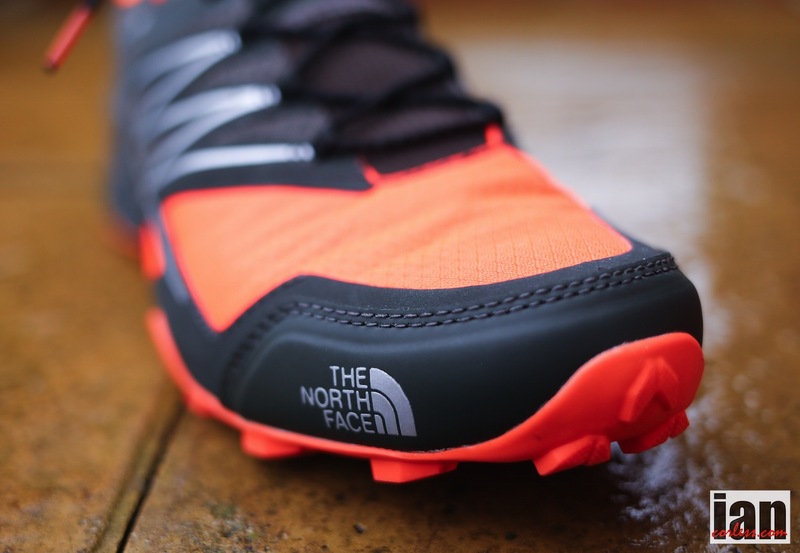 I run a lot in the Sense ultra and the Fellcross too, Las sportiva anaconda or even the X-Talon 212, but I would consider them as normal comparing the TNF Ultra MT. Also the rigidity of the shoe is just brutal. Probably it softens up after 50km , but out of the box, it is just stone hard with no bend what so ever. Forefoot cushioning is not there either. While it is not really for long distance running; where sure-footedness, agility and grip is necessary, this will be a great model. I can see Kima, for instance, what would be a good course for this type of shoe. It is a really specialised model with specific use. A hint of a Speedcross in it surely as you mentioned. Levi, your thoughts are not opposite to mine! I disagree with you in regard to the width, I use Sense SG and the 212’s all the time and the ULTRA MT sizes larger and wider… for me anyway! I agree with the rigidity BUT I have only done four runs so wanted to reserve feedback and then feedback in detail. It’s not a shoe for Kima. Kima required feedback and you don’t get that in the ULTRA MT (so far). I have to say, in just a few runs I am really amazed at how little feel and response the ULTRA MT gives – they are lifeless! Again, I wanted to reserve full judgement until I have more runs in them, I was hoping they would soften up… You say, “While it is not really for long distance running; where sure-footedness, agility and grip is necessary” and I have to say NO! 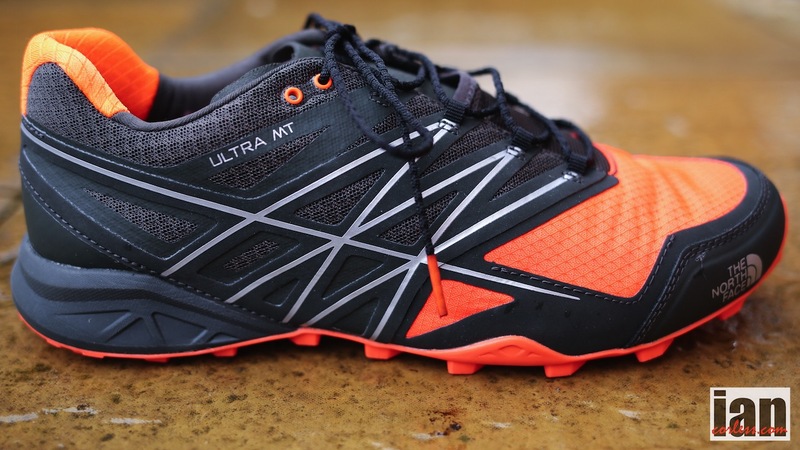 The ULTRA MT so far lacks all those attributes due to a lack of feel.